Chris was in our first On-Ramp (intro) group February 2015 and has been one of our most consistent and progressive members regarding performance, not to mention his involvement and commitment to the greater CFC community. His strength/condition numbers have increased 10-fold since joining along with getting muscle-ups, bar-muscle ups, handstand push ups among other things. 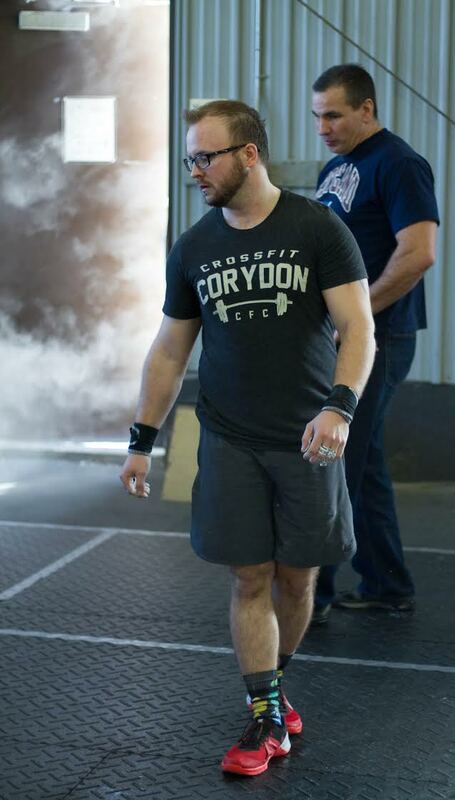 He is a weekly, if not daily, staple on the leader board and in the CFC community and continue to impress as he placed in the top 25-30% in the 2017 CrossFit Open. That being top 1000/4000 males in Canada-West. As one of our first members, we’ve been able to coach and watch Chris progress in strength, agility and stamina. In addition, his mobility, mechanics and mental toughness are second to none. Not a day goes by that Chris isn’t in the gym with a smile and talking workout strategy with everyone. We are proud to see him come into his own through this year’s open and look forward to everything that has yet to come! Keep up the awesome work and congrats Chris! It all started a few years ago (2011? 2012?) with Shane dragging me out for my first workout. The strength portion was back squats. Easy. Then came the metcon, which if I recall correctly, was composed of running, wall balls, and walking lunges. After finishing the workout and spending far too long laid out on the floor, I got up and proceeded to walk outside, around the corner of the building and throw up everything I ate earlier that day. I decided I probably didn’t need to do anything like that again. Fast forward to February 2015 and the opening of CFC. I’m in the first class of the first on-ramp and we’ve just finished baseline. Still tough but I don’t feel too bad afterwards. I get in my car and about halfway home I’ve gotta pull over and throw up. It’s happened again! Why do I keep doing this to myself?! But I persist and finish up on-ramp. Apparently I must have enjoyed something about it because I stuck around. Now, just over 2 years later, we come to today and it’s just part of my life now (minus the throwing up). As to why I keep coming back; there’s always some kind of metric that I’m improving on (getting that little gold star is a pretty addicting feeling) and I see no reason to stop any time soon! Playing guitar. Singing loudly in my car. Live shows. Music in just about any form (except country). Road trippin’. Spending time out at the cabin (wink wink nudge nudge @ anyone that’ll have me). I’ve done just about every escape room in the city. Ultimate. Drinking scotch. A little bit of gaming here and there. I’d like to travel more. 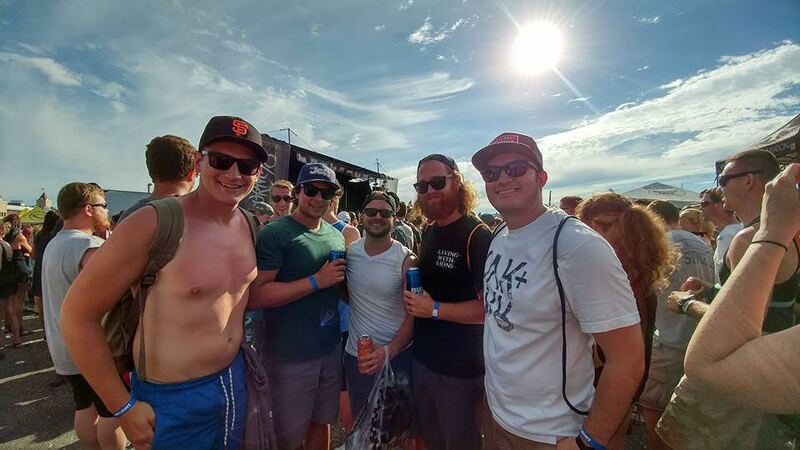 Just about anything alongside my friends! Like everyone before me, I’ve gotta say the people. Nothing keeps me coming back more than this slightly masochistic group of folks I’ve gotten so comfortable sweating buckets beside. If anyone couldn’t already guess, I’ll take double unders every day of the week. Oh, and cleans. Get at me. The cold weather has temporarily suppressed my dislike for running. In lieu, my top three “hard nos” are rowing, wall balls, and bar-facing burpees. Taylor, please have mercy and don’t get any ideas. Deadpool, for sure. Nearly immortal antihero with a potty mouth. He’s self-aware of the fact he’s a comic book character AND he’s Canadian. How can you go wrong? I couldn’t possibly pick a band but give me some pop-punk, please and thank you. I was pretty jazzed to RX all of the 2017 Open workouts. But for something a little more specific, (finally) getting my first bar muscle ups during 17.2 and hearing all the cheers and reactions gave me that reeeal nice, fuzzy feeling. Shaner: My boi! The main reason CFC became such a big part of my life. Strong like bull. The weightlifting guru that provides easily digestible cues. Maybe one day he won’t have to remind me about fully extending during olympic lifts. Taylor: CFC’s psuedo-regionals athlete. The man puts in work. Any time I can come close to his score, it’s a good day (or a bad workout for him). Six-pack goals. Always good for a fist-bump. Jason: My most-excellent last-minute Frostfit partner. Master of pacing. Hype-man extraordinaire. Believes in you even if you don’t. No one is more jacked to talk about Crossfit or dessert. Matt: What doesn’t he know?! A bottomless pit of knowledge. Be prepared to jump down the rabbit hole at any time when conversing with him. An expert at making you do the most painful variation of just about anything. Michelle: My gymnastic resource. Learning proper hollow holds and active bar hangs has been a humbling experience. She’s also really damn strong. Makes bar muscle ups look effortless when they most definitely are not. Jenna: Quiet, but a monster when you catch her in a workout. She generally leaves me to my work and I appreciate it. A stickler for getting your accessory work done! Always trying to get me to do handstand walks. A pretty solid ensemble of coaches if I do say so myself. I love me some karaoke. Come sing your heart out with me! I’m also the only person I know who can’t roll their tongue. Thanks again for the nomination, y’all. I’m just happy to be a part of this excellent community we’ve got going on here at CFC. My oh my, what a long strange journey it has been! Back in 2015, Chris was just scratching a little fitness itch when he jumped a board the CFC train. I can remember our first couple on-ramps where skipping and maintaining some general lung capacity seemed like impossible tasks. No matter what the workout was though, there was ALWAYS a Fietz shaped sweat angel on the floor afterwards and I think it is that level of intensity and commitment to pushing through that has lead to Chris’ progress. I am always reminded of the first time Chris did “Fran”.. It was a Friday 7pm class, with one other member. We went over the workout as per usual, turned the punk-rock up for 3-2-1 go! and about half way through the 21 pull-ups he turned he head looking at me wondering what the heck was going on. Then, mid-way through the round of 15 pull-ups, now grimacing, pale faced and pouring sweat, again turned and looked me in the eye to say,”I think I’m going to give up.” but hung in there. 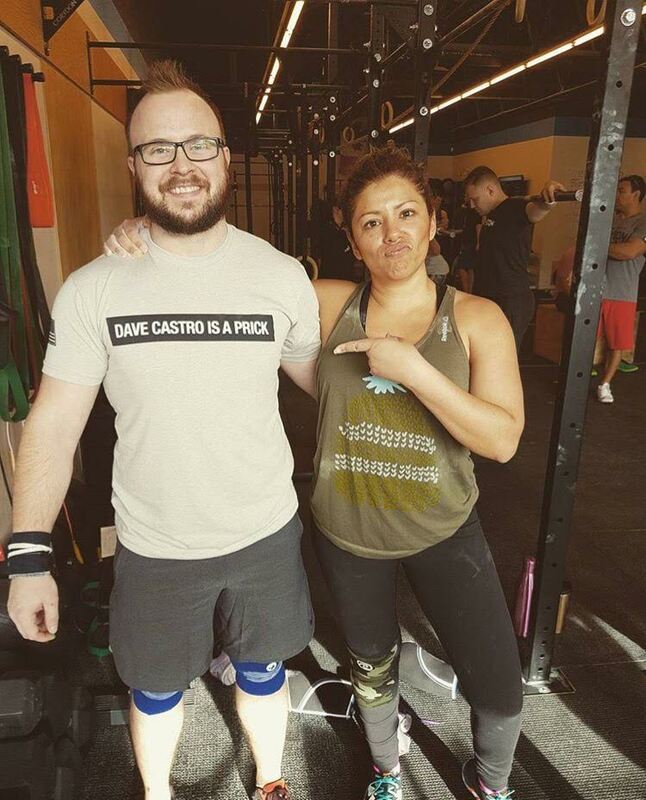 Why do I tell this story… because I later found our that not only was this is first thruster workout but also his first time ever even doing a thruster. He didn’t question it, just put his head down and pushed through what I can only imagine was a horrific bodily experience. It is one of my all-time favorite CFC memories.